First you will visit the former royal buildings of the Chakri kings and the beautiful Wat Phra Kaew. You will be impressed by the Buddhist statues and the holiest temple of Thailand. The next temple is Wat Pho. It’s the largest temple in Bangkok and famous for its huge and majestic reclining Buddha. It’s 46 meters long and covered in gold leaf. 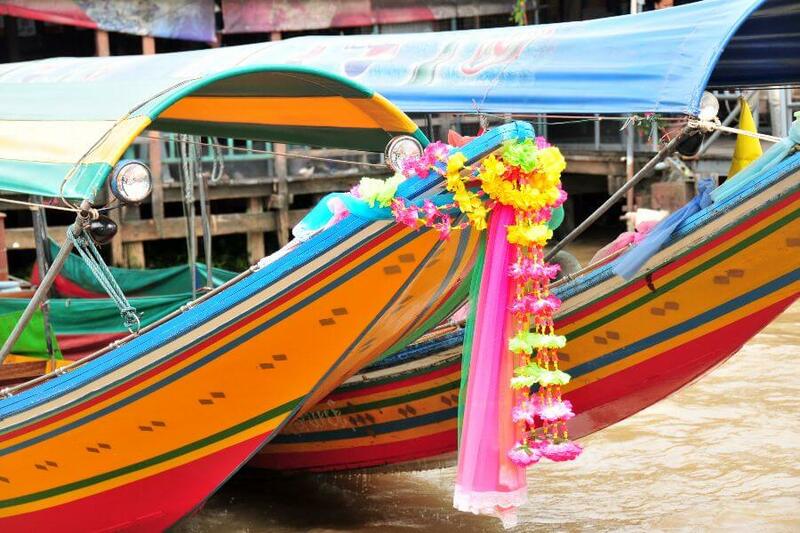 After lunch it’s time to discover the real Thai life by boat. We will board our long tail boat and cruise through the canals, or ‘klongs’, for about 1 hour.